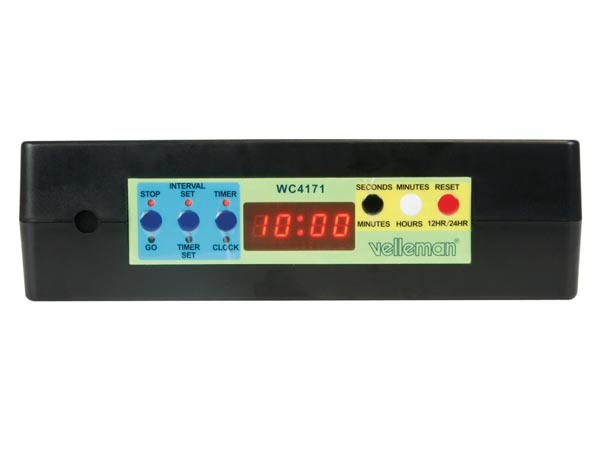 The Velleman Perel WC200 is a large battery powered Timer, Chronometer and Clock with Large 100mm LED display. The unit is powered from a rechargeable lead acid battery or mains adaptor (Adaptor Supplied). The unit has a small control panel located on the top of the unit with push button switches to set the desired function. 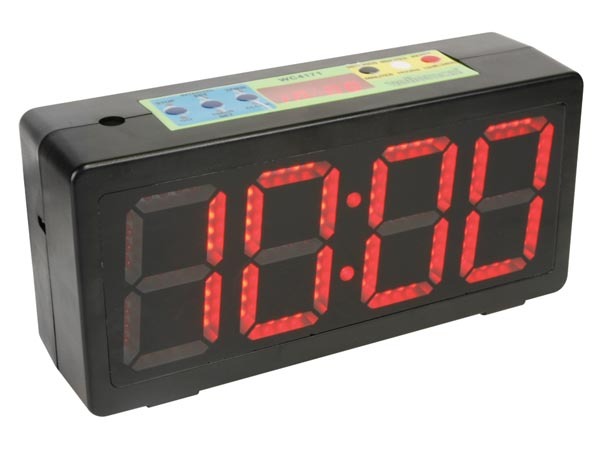 Can be used as a Up/Down Counter, interval Timer with alarm or Clock (12/24h Display). Would make an ideal classroom timer for use in Schools and Colleges. The WC200 replaces the previous version WC4171.